Diverting one stream into another. Changing the alignment of the canal so that it crosses below the junction of two streams. When the HFL of the drain is sufficiently below the bottom of the canal such that the drainage water flows freely under gravity, the structure is known as Aqueduct. In this, canal water is carried across the drainage in a trough supported on piers. Provided when sufficient level difference is available between the canal and natural and canal bed is sufficiently higher than HFL. 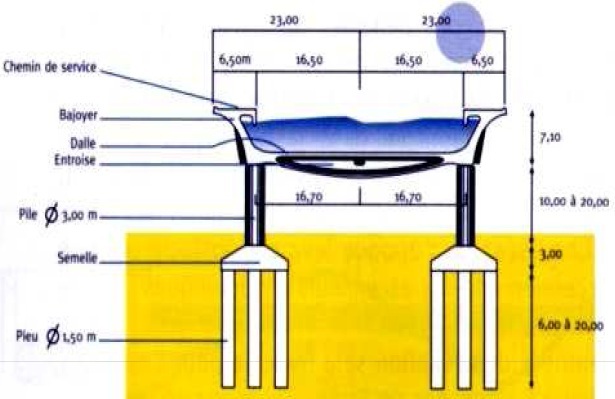 In case of the siphon Aqueduct, the HFL of the drain is much higher above the canal bed, and water runs under siphonic action through the Aqueduct barrels. The drain bed is generally depressed and provided with pucci floors, on the upstream side, the drainage bed may be joined to the pucca floor either by a vertical drop or by glacis of 3:1. The downstream rising slope should not be steeper than 5:1. When the canal is passed over the drain, the canal remains open for inspection throughout and the damage caused by flood is rare. However during heavy floods, the foundations are susceptible to scour or the waterway of drain may get choked due to debris, tress etc. Cross drainage works carrying drainage over canal. A super passage is similar to an aqueduct, except in this case the drain is over the canal. 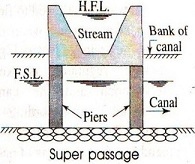 The FSL of the canal is lower than the underside of the trough carrying drainage water. Thus, the canal water runs under the gravity. 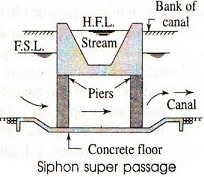 In case of siphon the FSL of the canal is much above the bed level of the drainage trough, so that the canal runs under the siphonic action. 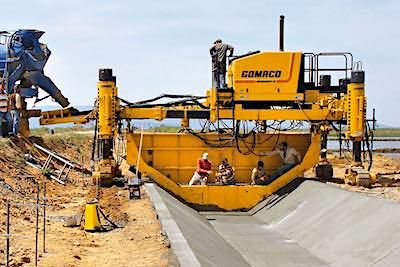 The canal bed is lowered and a ramp is provided at the exit so that the trouble of silting is minimized. 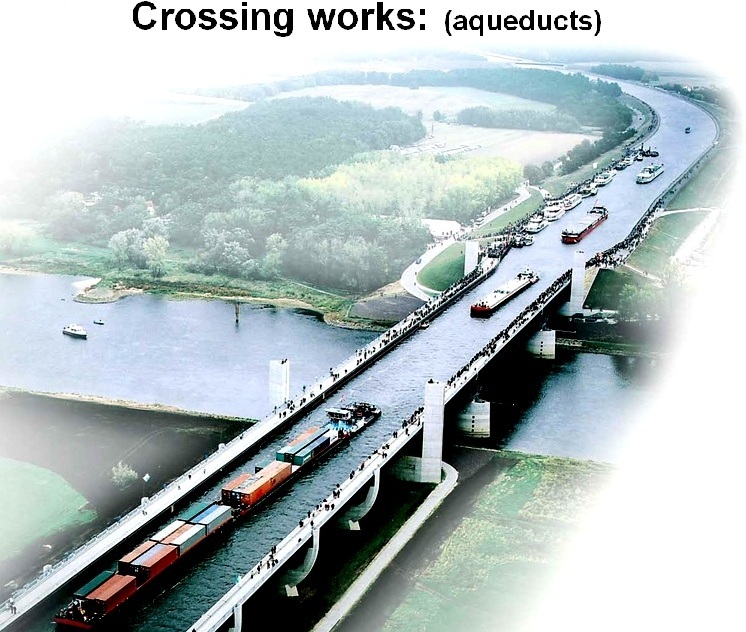 In the above two types, the inspection road cannot be provided along the canal and a separate bridge is required for roadway. For economy, the canal may be flumed but the drainage trough is never flumed. Sides of the aqueduct in earthen banks with complete earthen slopes. The length of culvert should be sufficient to accommodate both, water section of canal, as well as earthen banks of canal with aqueduct slope. Sides of the aqueduct in earthen banks, with other slopes supported by masonry wall. In this case, canal continues in its earthen section over the drainage but the outer slopes of the canal banks are replaced by retaining wall, reducing the length of drainage culvert. Sides of the aqueduct made of concrete or masonry. 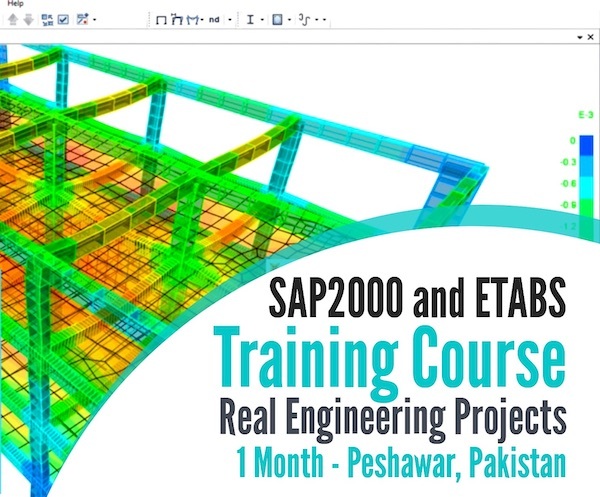 Its earthen section of the canal is discontinued and canal water is carried in masonry or concrete trough, canal is generally flumed in this section.